Mai senza smalto! : KONADomania giveaway/haul!!! 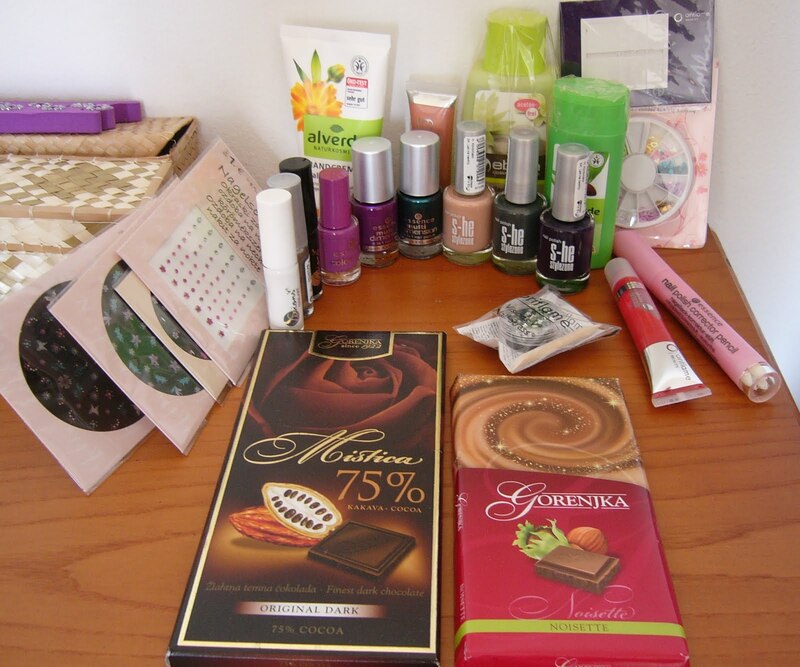 Last Friday I received Anita's pack (I won her great giveaway) and I was amazed: so many beautiful things: stickers, corrector pen, lipglosses, hand cream, rhinestones, remover, stripers and...yes: chocolate (I managed to resist it just until I took the picture...:-P)! Essence Colour& Go 20 go wild. She also added a lovely card: Anita I'll be able to do "years" of mani here (not to mention the 25$ coupon I have to spend at OCNailart: I just set my eyes on some plates...)! Thank you again Anita, you have been so nice!! Venerdì ho ricevuto il pacco da Anita di KONADOmania (avevo vinto il suo giveaway), quante cose ho trovato: (vedere foto). Ha anche aggiunto della cioccolata (buona...la tavoletta alle nocciole è già a metà, mi sto trattenendo). Hey, I'm so happy you got your package and that you like the content:* Loooking forward to seeing your manicures! NOTD: Color Club Who are you wearing?